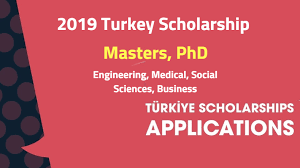 The applications are now open to apply for Turkey scholarship 2019 and the scholarships are granted to the students, who have already done their MS, MBA, Masters, LLB or PhD in the leading Turkish University. The programs are offered to the students in English and the call for scholarship is open. The process for the application is free and the students will not pay the admission fee for the Turkey Scholarship for the international students. The students will note that the admissions for graduates for Turkey scholarship 2019 spring are opened and there are over 70 graduate courses for spring 2019. The students will apply for admission in Graduate School of Social Sciences and Humanities, KOC University, Graduate School of Science and Engineering and Graduate School of Health Sciences at KOC University with their brand new and existing master degree programs. The University is located in Istanbul and KOC University is meeting point for graduate students, who want to get admission in Turkish university and improve himself in their graduate studies and prepare the graduate students to become socially responsible global leaders and provide them various career opportunities. The study in turkey in English is offered to the students under Turkey scholarship 2019. The candidates will find the list of programs, which is given below. You need to check your programs below to get scholarship in turkey. The candidates will note the eligibility criteria for Turkey Scholarship 2019, which is different and according to the particular program. You can check each provided link to get detailed information about each program. The candidates will not send any separate scholarship application and they will apply to the program of their choice and they should be considered for the grant of scholarship. The decision for grant of scholarship is based on the academic merit and not on the financial requirements. They should show in their statement of purpose if they have received or they are considered eligible for one of the specific scholarship programs. The deadline for Turkey Scholarship 2019 at KOC University is different and each program has the different deadlines. Maximum no of programs will be closed at end of December. You have to fill Turkey Scholarship Online Application. The Link is given above to apply for each program. As the overseas international student to our graduate programs, you will complete an online application form. Applications with missing documents will not be taken into consideration. You should not email or post any documents to the university.